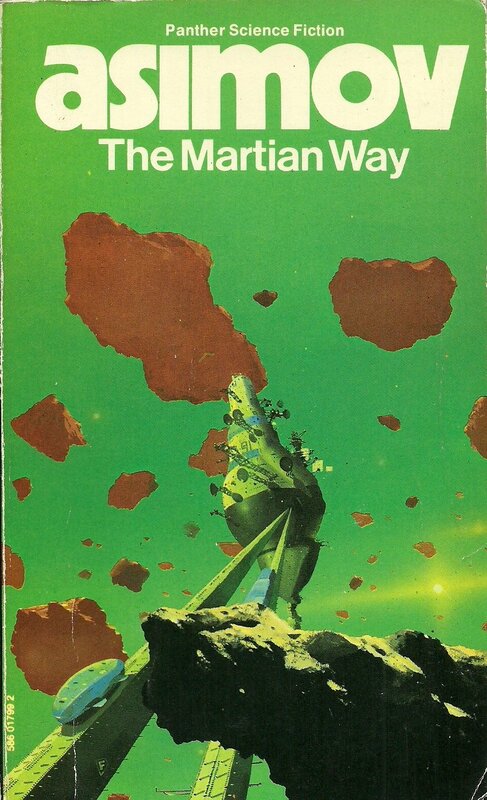 A collection of three novellas and a short story from one of the recognised masters of the 'golden age' of science fiction. These 1950s stories demonstrate well both why this period was given this title back then - the quality was far higher than, say, the 1920s and 30s - and also why that gold has tarnished in quite a big way since. By Asimov standards, the characters here are slightly more three dimensional than usual, but still from the stock cupboard, while women only feature as part of the scenery. Still, there's some good material. 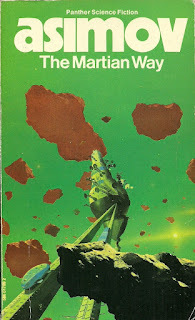 The Martian Way is a bit of a precursor for Heinlein's The Moon is a Harsh Mistress - space colony under pressure from the dominant Earth realises that it has to find a way to be truly independent. In this case, the problem is water and the solution is recognising the wider resources available to those with mastery of space. Youth has some of the feel of a Bradbury story with young protagonists (inevitably both male) - though Asimov can't capture the same sense of wonder. But it's a classic twist-in-the-tale piece of SF, nicely done. The Deep, the short story, tries to look at human culture through alien eyes and half succeeds. And Sucker Bait involves a mission to a failed colony where Asimov does what he does best - tries to find the solution to a problem of maintaining a galactic civilisation, in this case information overload. The idea of that last story is that people are increasingly specialised and computers don't have insight, so there's a need in a widespread society (across thousands of planets) is to somehow have the ability to cross index and analyse knowledge. Now, of course, we would turn to computers, but we can't blame Asimov for not thinking of the advances we've seen in both software and hardware - so instead he proposes a human solution, individuals programmed from birth to be in the Mnemonic Service - remembering everything they see and able to link together forgotten pieces of information. Human Googles, you might say. Clearly this isn't a realistic solution, but at least Asimov had thought about the issue. The story still has those 1950s faults. The captain and crew of the ship are straight out of marine central casting and regard the 'egghead' scientists as weirdos. And there's a sentence that beautifully sums up the period approach to women in the description of the origin of the settlement: 'In the next months, some of the unattached men arranged to have women brought in, so the settlement must have flourished for a while.' Yet despite these faults, this is primarily a story of ideas and Asimov was exploring an issue that most tales of galactic empire simply never considered. I wouldn't say this short book is a collection to rush out and obtain - but if you come across it, it's well worth giving it a try. The book is long out of print and isn't currently on Kindle. The cover shown is of my 1974 reprint of the 1965 Panther edition.